Shah's latest statements have yet again sparked controversy. Stating that walls of hate are being erected in the name of religion, Shah claimed that people were being silenced and are being deterred from speaking the truth. 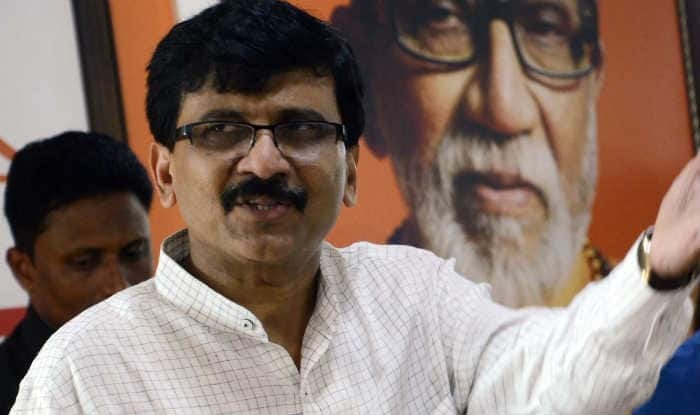 New Delhi: Shiv Sena leader Sanjay Raut on Friday said that since Naseeruddin Shah is saying what he wants to, he doesn’t think that human rights are being violated in India. The Shiv Sena leader added that there is democracy in the country and he respects the actor. Shah’s remark came days after being embroiled in a controversy for raising concern over the life of his children in case they were surrounded by a mob. The Bollywood actor this time raised concern against the ‘curbing of freedom of expression’ in a democratic country like India. In a video released by Amnesty India, Shah can be seen talking about how artists, actors and journalists are being silenced. Sparking a controversy with his statement yet again, Shah said hat walls of hate are being erected in the name of religion. He also claimed that people were being silenced and are being deterred from speaking the truth. In the video, Shah starts by talking about the adoption of the Constitution in India and then expresses concern over the oppression of the poorest. Shah said, “The Constitution of India was adopted on January 26, 1949. From the beginning, its core value aimed at ensuring social, economic and political justice for everyone in India. For everyone have the liberty of thought, expression, faith and worship. For everyone to be treated equally. For every person’s right to life to be respected. The actor further questions over the rights of those oppressed and vulnerable asking if this is where the Constitution is headed. “Had we dreamt of a country where there is no space for dissent,” asked Shah. “Where only rich and powerful are heard, and where the poorest and most vulnerable are forever oppressed? Where there once was law, there is now only darkness,” quips the Bollywood actor. The earlier video which created quite a controversy had the Bollywood actor speaking about how more importance is given to the death of a cow as against the killing of a policeman. He had also expressed concern over the life of his children if they are surrounded by a mob for which he was widely trolled. “Tomorrow if a mob surrounds them and asks, “Are you a Hindu or a Muslim?” they will have no answer. Because they have no religion,” he had said. The actor had said the “poison has already spread” and how it will be difficult to contain it. “There is complete impunity for those who take the law into their own hands. We have already witnessed that the death of a cow has more significance (in today’s India) than that of a police officer,” said Shah.